This spring brings another must-see event from premier independent U.S. music festival producer Danny Wimmer Presents. 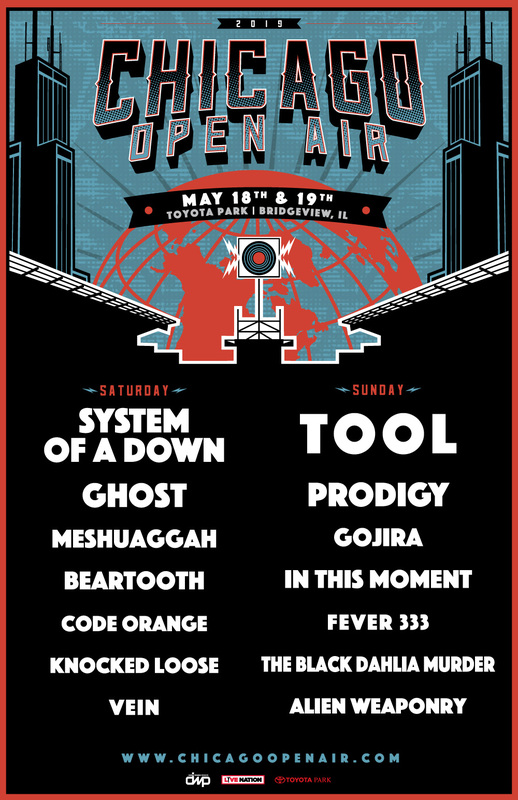 On Saturday, May 18 and Sunday, May 19, Chicago Open Air Presents a massive stadium show with headlining sets from chart-topping acts including System Of A Down, Tool, The Prodigy, and Ghost, plus more appearances from today’s biggest hard rock and metal artists. The event is co-produced by Live Nation and will take place at SeatGeek Stadium (formerly Toyota Park) in Bridgeview, IL, just outside Chicago.